Are you trying to decide on a gift for a brother, a son, a friend, or a boyfriend? With Father’s Day around the corner, we all understand the importance of the patriarchal figures in our lives and want to spoil them. We know it now as being in June but originally Father’s Day was known for being celebrated on the 19th of March since the middle ages, but then many countries, especially in Europe and America, decided to honour it on the third Sunday of June, which this year falls on Sunday 17th. In light of honouring fathers and all men too, let us introduce a few rather interesting grooming products for men. We all know a well groomed man is a delight to share space with! If the man, whether it be father, brother, lover or son in your life are busy, it doesn’t mean they should neglect their skin, hair and looks. So here is a small step by step guide to help your man in looking and feeling great. Let’s start with the necessary grooming tools, in which Philips has you covered and have been since 1891. Pioneer of mens’ grooming electronics and tools, strikes again with its new Hair Clipper Series 5000 Powerful Cutting and One Blade. The Hair Clipper contains the advanced DualCut technology as well as a turbo boost option and 24 different length settings that can be used corded or cordless. In addition, it is maintenance free as the blades are self-sharpening and washable and no oiling is needed with a five-year warranty. This built to last tool comes in a black hard case to help protect all parts of the hair clipper, keeping it in optimal condition and practical packaging for all travels. 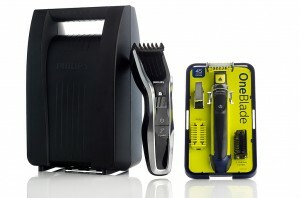 OneBlade is ideal for travelling too as it comes in a packable size, three stubble combs, a body comb and two blades making it practical for different uses on the face and body. This creation can trim, edge or shave facial hair upon preference, and trim, guard or shave body hair with a long-lasting 45 minute non-stop run. Though tiny and feels lightweight, it is powerful and can shave any hair length. All while being easily manoeuvrable and protecting the skin from irritations due to its function of not shaving too close to the skin. Maybe your beard grows faster than most, or you just like to have a wide choice of hair and beard styling equipment. Braun offers that with its MGK 3045 Face & Head Trimming Kit. 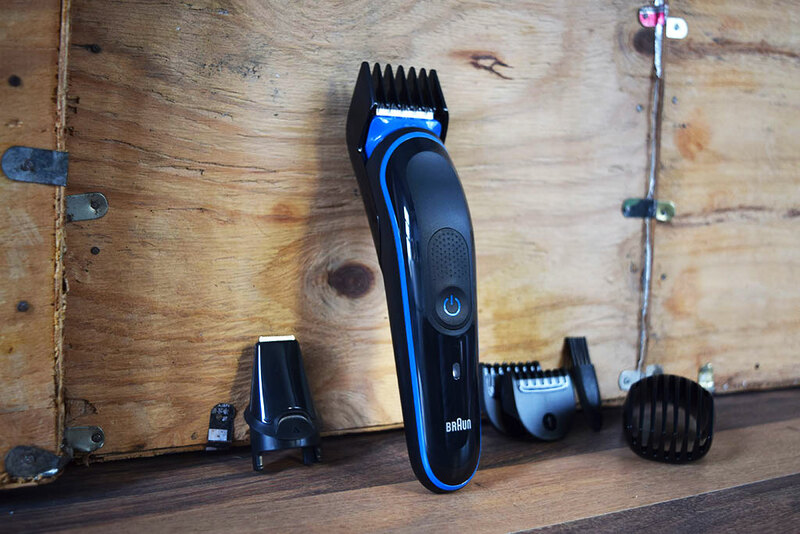 The easily portable, fully washable, lifelong lasting, voltage easily adjustable 7 in 1 kit has four different comb attachments, along with a precision trimmer and a Gillette Fusion ProFlide manual razor for various beard styling and hair clipping. It comes with its own smart plug charger and a small cleaning brush to help clean all parts of the combs. The Braun multi-grooming kit will satisfy whichever desirable look you wish to achieve. Speaking about the renowned Gillette, it has a new product in store. 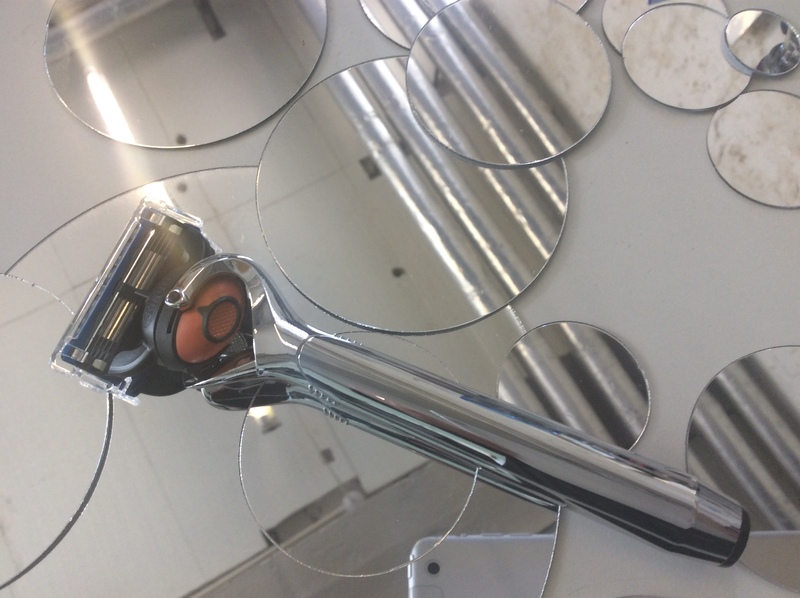 Partnering with Boots, Gilette has launched the exclusive Gillette Fusion5 ProGlide Chrome Edition, offering men the function of trimming every hair if desired. The razor comes with five anti-friction blades and enhanced Lubrastrip with more lubricants for a smoother and painless shave. Its features also include one razor blade refill which equals to a month’s worth of shaves, and also fits the other various Gillette Fusion5 and Fusion5 Power blade refills too. Besides being a visually pleasing and elegant tool with a reflective handle, it can reach tough areas like the nose and sideburns due to its precision trimmer on the back. Shaving is not only about the blades but also about the products used before, during and after the process. With reportedly 80% of men communicating about skin complaints regarding shaving, the new Irish men grooming brand, MARRAM Co has come with a set of high-end products to make the activity more enjoyable and soothing. 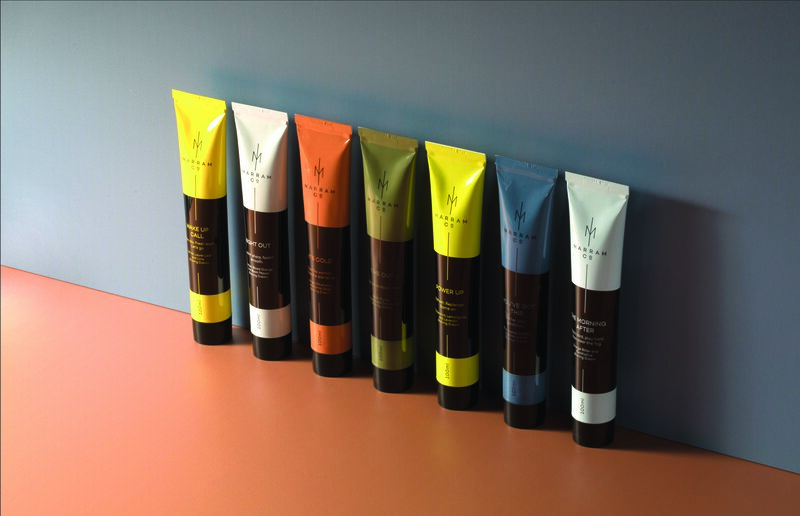 MARRAM Co has created eight shaving creams with a formula for each mood: Wake Up Call, You’ve Got This, It’s Cold, Power Up, Night Out, The Morning After, Time Out and You Might Get Lucky. All natural, the creams are made with organic essential oils sourced from 212 organic farms all around the world, and by blending plant medicine and aromatherapy to refresh, replenish, protect, clean, sooth, and spruce-up. 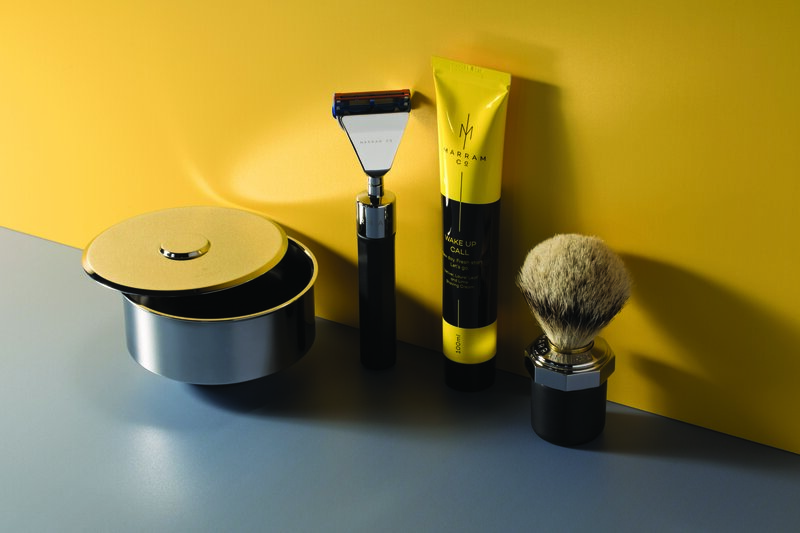 They also produce shaving tools that are manufactured as more than just tools used for the routinely trims, but as luxury accessories highlighted in the bathroom. Since the brand seems to be all about personalised products, the different components of the tools can be fitted together in order to create a personalised kit for each individual based on their needs and style. To complete the full shaving tools set, MARRAM Co offers two Razors: The Safety Razor and Modern Razor to allow men to shave at their own pace but in absolute luxe. 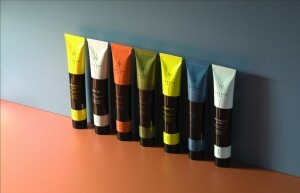 The tubes of creams look like high-end gouache paint, while the tools resemble canvas brushes making of the MARRAM Co shaving experience an enjoyable artistic experience. 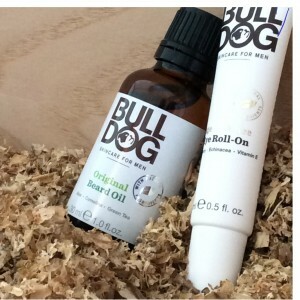 A Bulldog is man’s best friend, both as a dog and as the prominent natural based skin care brand. Founded in 2005 by Simon Duffy, BullDog offers a wide variety of skin care products for men. All ingredients used are purely natural to help moisture, fix and smooth all skin types whether it is oily, dry or combination, Bulldog has a product for you. The antioxidants blended are Rosemary, Echinacea and Vitamin E to help all skin damages through the application of their face scrub, wash, mask and moisturiser, aftershave balm, deodorant, shower lotion and hand cream. Their newest collection is the Age Defence range that contains three creations: A moisturizer, serum and an eye roll-on. The protective moisturizer contains aloe vera, 9 essential oils and a broad spectrum SPF15, not only to smooth the skin but also to protect it from the sun and UV rays even when cloudy. These are not their only products, as they also have a range of products for every man’s beard. At the heart of this line is the Original Beard Oil, filled with aloe vera, green tea, coconut oils, sweet almond and camelina. Taming that beard and leaving it softer, shinier and smoother. Men’s sea of care products is endless, and choosing the perfect one for you can be difficult. And hairdresser Oliver J. 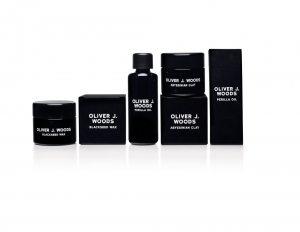 Woods has made the choice harder by presenting his high quality grooming products. After 20 years of working with mens’ hair from photoshoots, editorials, ad campaigns to everything else, he decided to design all natural, cruelty-free products for men without all the mess that can come with hair care. The range offers an Abyssinian Clay to use on either wet or dry thatch, a Blackseed wax for a workable hold and a Perilla Oil for calming and taming hair and beards. All containing Oliver J. Woods’ signature scent that combines Bergamot, Patchouli, Amber, Cedar and Sandalwood. And await a new moisturiser and a shaving crème coming soon. Helping you look good with products that your girlfriends and wives can also use. There is a product for each type of skin, hair, beard and man, but also there is a product for each type of activity. After 20 years of building one of UK’s most beloved organic products, Green People has introduced its “Men’s Gym Bag Heroes” set. These new products for men are all presented in an all-back matte packaging and filled—with no doubt—all natural ingredients. Priding themselves on being all about the organic lifestyle, Green People only use certified organic ingredients without use of any harsh chemicals or animal testing. This set contains an itch away shampoo, a detox shower gel and a thyme and prebiotic deodorant, getting you ready for an after-gym fresh and quick pamper recovery. In addition, the brand provides products for all the family including for babies and teenagers. You are never fully ready without a splash of perfume or eau de toilette. 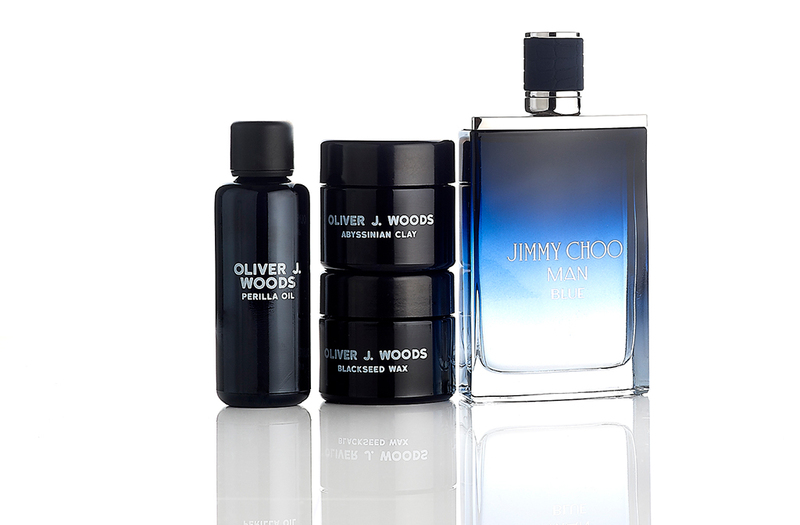 Jimmy Choo Man presents its newest fragrance BLUE. 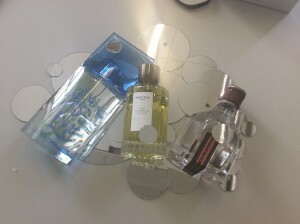 BLUE stays true to JIMMY CHOO’s Man spirit “an effortless attitude and a confident, overtly masculine style with a refined sense for detail and a rebellious sense of humour.” The fragrance is designed by master perfumer Nathalie Lorson who has previously worked on various fragrances like Acqua di Parma, le Labo, as well as many other designer scents. The leathery scent blends various olfactory notes that compliment and contrast, the spicy warmth of black pepper with the intense woody texture of cypress essence and the creamy tones of the sandalwood as a base note, provides a perfumed balance supported by touches of vanilla and vetiver. Since to complete your look you need an olfactory blend, Robert Graham has brought to you a collection of three new fragrances that blend different essences together. They are all the product of a singular blending and ageing process that have generated a variety of expensive scents. The three blended essences are named Courage, Valour and Fortitude: smelling the essence of the best of men. Courage is for men who are driven, that have a need for speed, a passion for risk taking and an eye for style. The scent itself has a smooth and fizzy top note of vodka Citron with fresh Bergamot and a finishing of smoky Guaiac Wood. Besides the unique smell of each fragrance in the collection, they each have an even more exclusive curio on the hood of each bottle. Courage has the Pilot de Course that was insipired by the 1920’s original bust created by sculptor Francois Pimienta. (Only two copies are available). Valour, an essence that blends between freshness and sophistication by its usage of top notes that include Clary Sage, Coffee Santos and Amber Wood. It is for the fierce individual, the well-dressed modern gentleman and its bottle has an English bulldog on the hood as a symbol of individuality, determination and wilful intelligence. The last of the collection is Fortitude, with a horned ram’s head with green crystal eyes as its bottle ornament and a blend of rich and exotic scents, making it a symbol of strength and for the fearless warrior in you. The top note is of the sensual Tobacco Absolute, mashed up with secondary notes of Patchouli and Tonka Bean; evoking a sense of alchemy and mystique. Bois d’Hadrien is created by Goutal’s daughter, Camille Goutal which was inspired by the Tuscan Hills in Italy. Slightly shifting from the original bitterness of the original fragrance, Camille blends the freshness of Tuscan citrus fruits with the smokiness of warm wood and Siberian pine, making it a peaceful and fresh scent for all. Last but not least, Issey Miyake, like every summer since 1995, celebrates the joyous season by inviting artists to reinvent his fragrances. This year, he presents L’Eau D’Issey pour Homme where he decided to incorporate and showcase the collaboration of two young French creators that combine both typography and nature using different approaches. The showcasing is visible on both the summery packaging and bottle itself where Tyrsa designed and carved the quirky letters visible, and Alice Auboiron sprang her luxuriant summer-scape created by her imagination and knowledge about living plants and love for nature. The scent reflects the perfectly hot season’s vibe with a dash of tropical kiwi fruit balancing the grapefruit highlighted by the coriander as top notes. The heart reveals aromatic pineapple sprinkled with nutmeg then finishes off with a woody vetiver and cypress aroma to make every man ready for the summer. Happy (early) father’s day to all soon-to-be, want-to-be, already are fathers.